Great as a base for Cardiff without the noise and bustle of a city. Close to the M4 and Caerphilly train station. 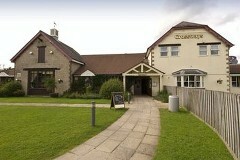 There is free on-site parking and a good pub restaurant. Book direct for the best Premier Inn Caerphilly deals. ​Ideally situated for both business and leisure guests. For business this hotel is near to Crossways business park. Local attractions include historic Caerphilly castle, St. Fagans and Castell Coch. For shops and local amenities Caerphilly town centre is only 1 mile away. There is free on-site parking and a Brewers Farye restaurant. 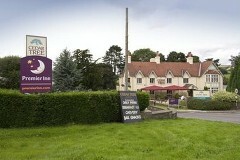 Book direct for the best Premier Inn Caerphilly deals.